Few things in life exceed expectations quite like the Marten 49. Whether at sea or at anchor, this impressive performance cruiser will not disappoint. From its sleek, contemporary racing lines to its luxuriously appointed interior, the Marten 49 delivers effortless style, unrivalled functionality and dynamic flair. The Marten 49 will appeal to an owner who wishes to combine the excitement and speed of a performance racing yacht with the ability to make fast comfortable passages. 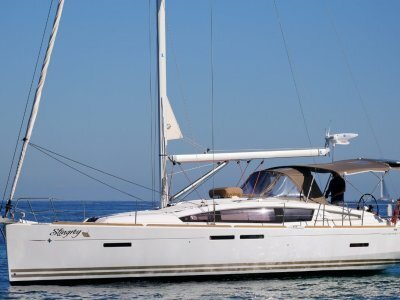 Offering a remarkable blend of agility, stability, safety and performance the Marten 49 was designed to be a superb family cruising yacht, very competitive at regattas and at the same time, easily be handled by a couple. 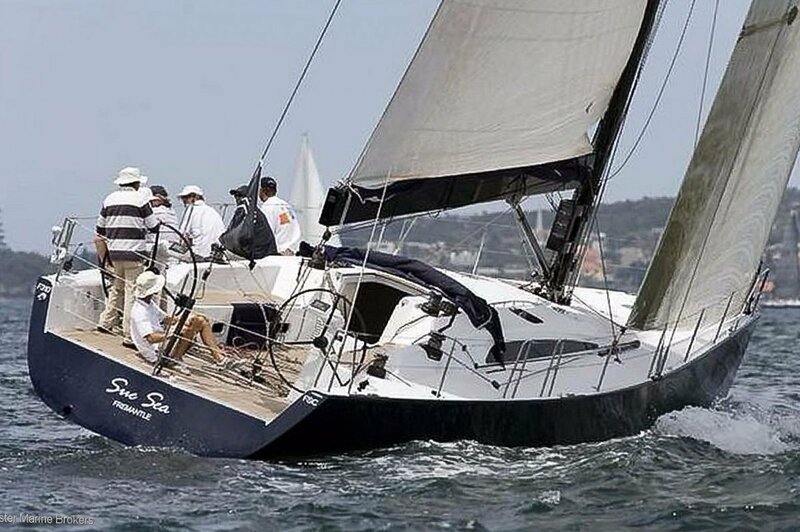 The Marten 49 was designed by the legendary design team Reichel/Pugh and constructed by Australian yacht builder Azzura Marine at Nowra on the NSW south coast. 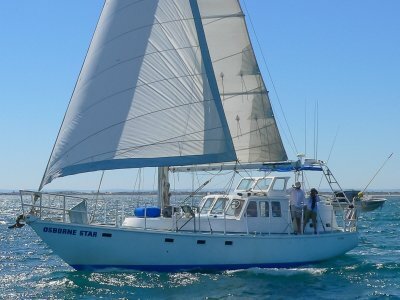 The Marten 49 has attracted clients from across the world including London, Germany and the Mediterranean through to Auckland, Sydney and Perth. The Marten 49 displaces only 9.5 tonnes. 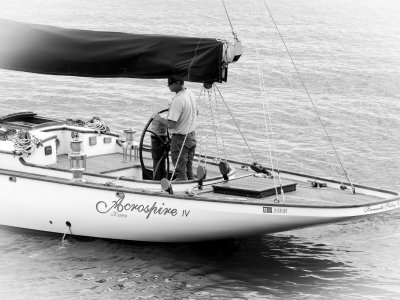 This relatively light weight is achieved by its total carbon fibre cored hull and deck and enhanced by the extensive use of lightweight aluminium honeycomb doors and timber veneer surfaces throughout. The hydraulic lifting keel provides maximum draught (3.6m) for optimised upwind performance and reduced draught (2.1m) for access into shallow waters, harbours and bays. 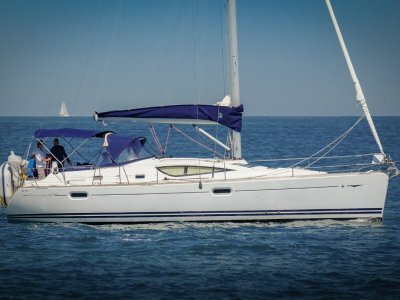 Wherever possible, halyards and sheets are cleverly concealed underdeck. Weight saving custom carbon fibre mast and boom delivers superior strength and stiffness. The retractable centre-line carbon bow prod is for effortless flying of spinnakers yet virtually invisible when retracted. Flush custom made carbon hatches are strong, light and durable. The interior is both modern and minimalist, with a subtle blend of suede and lightweight timber veneer. The Galley opposite the main lounge in the saloon is of a moulded solid surface acrylic and stylish stainless steel sink, with full hot and cold water, and extensive cupboard space above. "Quality Brokerage Service and Insurance Solutions by Cruisers, for Cruisers"